If there’s one consumer electronic product which you can bet your life on to find at CES, it’s TV. Every year at CES, we see a lot of new TVs getting announced from every popular TV manufacturer out there. This year was no different as companies including LG, Samsung, and Phillips introduced their new offerings in the TV department. 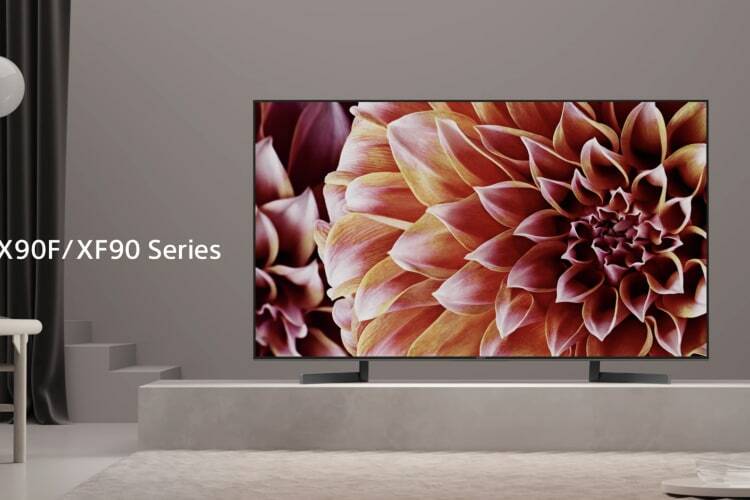 Today, Sony also joins the fold as the company has just announced the launch of two new Bravia series; the Bravia A8F OLED and Bravia X900F LCD. The biggest feature of new Bravia lineups is that they both come with built-in Android TV and Google Assistant. When it comes to the Bravia A8F OLED series, there are two different models; the XBR-55A8F which has a 55-inch screen and the XBR-65A8F which has a 65-inch screen. Apart from the size, both the models pack exact same features. They both have over 8 million self-illuminating pixels which are precisely and individually controlled by the X1 Extreme processor. Both the models also have a 4K HDR panel and feature real-time image processing for ultra-detailed pictures. I am especially fascinated by what Sony is calling Acoustic Surface technology which utilizes two actuators placed behind the TV which vibrate the screen to create sound that comes from the entire screen. Other features include Dolby Vision as well as support for Amazon’s Alexa assistant. The Bravia X900F LCD series comes in a variety of models based on various screen sizes including 49-inch, 55-inch, 65-inch, 75-inch, and 85-inch. Apart from the different screen sizes and use of the LCD screen the only unique features of the X900F LCD series are the inclusion of X-Motion Clarity technology which should reduce motion blur and the use of X-tended Dynamic Range PRO technology which is said to provide up to six times the contrast of conventional LED TV. There’s one feature which is missing in the Bravia X900F LCD series when compared to the Bravia A8F OLED series and that’s the Acoustic Surface technology. Apart from that, it packs all the features that we mentioned above including Dolby Vision, built-in Google Assistant, support for Amazon’s Alexa and HDR gaming. . I am really excited about the Bravia A8F OLED series and want to see how its Acoustic Surface technology fares against the normal TV speakers. That said, Sony has still not revealed the pricing and the availability for either of the two series.